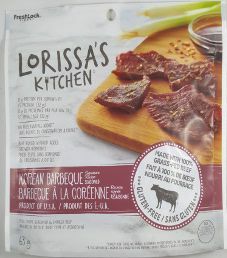 The first review for Lorissa’s Kitchen will be on a 2.25 ounce/63 gram bag of their Korean Barbecue flavored 100% grass-fed beef jerky. This flavor is described as a perfect blend of caramelized brown sugar, soy sauce, earthy white onion, and hints of garlic. The bag was purchased at a Shoprite store in Lyndhurst, New Jersey. 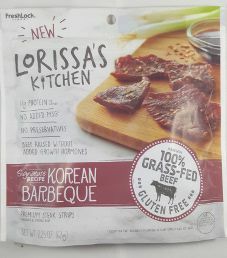 The first review for Lorissa’s Kitchen will be on a 2.25 ounce/63 gram bag of their Korean Barbecue flavored 100% grass-fed beef jerky. 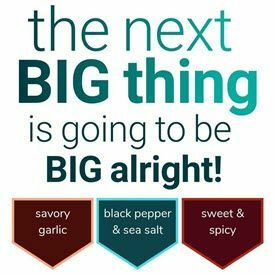 This flavor is described as a perfect blend of caramelized brown sugar, soy sauce, earthy white onion, and hints of garlic. The bag was purchased at a Shoppers Drug Mart store in Brampton, Ontario, Canada.